Police officers have a unique and admittedly difficult job: they are required to maintain the peace and enforce the law, even at the risk of their own lives. Time and again they find themselves in dangerous situations which require split second, life-or-death decisions. As admirable as the courage required to face such situations might be, it seems that police officers these days are involved in more and more unnecessary deaths – not of the officers themselves, but of their suspects. In fact, according to the Salt Lake Tribune, police officers killed more people between 2008 and 2013 than gang members, drug dealers or child abusers. As it happens, only a few weeks ago police officers shot a Somalian refugee armed with a stick and left him in a coma, fighting for his life. Such statistics and incidents have left many Utahans facing a rather disturbing question: how does one protect themselves from becoming the next unnecessary victim of deadly force at the hands of police officers? Perhaps the best method of averting a deadly force encounter with police officers is to become familiar with the law and training police officers rely on when dealing with such situations. In this way, individuals who encounter police officers might be made aware of the signs and signals officers are trained to regard as threatening, and consequently warranting of the use of deadly force. Armed with a moderate understanding of the federal law, state law and the so-called National Use of Force Framework, it is the intention of this article to provide individuals with a means to de-escalate dangerous situations with police officers or avoid such situations altogether, where possible. Unsurprisingly, the use of deadly force by police officers is an issue which has come before the United States Supreme Court on a number of occasions. Most pertinent to the purposes of this article was the 1989 case of Graham v. Conner, in which the Supreme Court defined three factors to be considered when determining whether or not police officer use of deadly force was warranted. These are: 1) the severity of the crime a suspect was believed to be involved in; 2) the risk of immediate threat to the safety of officers or others; and 3) the level of resistance a suspect was exhibiting during an arrest and/or an attempt to flee. Hand-in-hand with the severity of the suspected crime, the risk of immediate threat to the officers is equally obvious. A suspect armed with a weapon might therefore expect to be met with deadly force, though what constitutes a “weapon,” is not particularly clear. In consideration of the incident with the Somalian refugee mentioned above (who was armed with a stick, either metal or wood), it is likely best to be devoid of anything which might possibly be construed as any kind of weapon whenever police officers are encountered. The level of resistance manifested by a suspect makes for a fitting conclusion to the Supreme Court’s recommendation: a violent criminal armed with a weapon is of little consequence unless they are attempting to resist arrest or escape police by using such a weapon. It seems reasonable, then, that resisting arrest is one of the factors which might justify the implementation of deadly force. With the Supreme Court’s decision in mind, then, any individual who encounters police armed with a weapon (or anything that might be construed as such), and/or actively resisting arrest or attempting to escape is liable to be met with deadly force, particularly if such individuals are suspected of a violent crime. While the Supreme Court presents a sophisticated three-pronged consideration to the question of police officer use of deadly force, the Utah Code takes a more simplistic approach. In sections 76-2-402 and 76-2-404, the Utah Legislature addresses the use of deadly force not just as used by police officers, but by any person. Put succinctly, the code permits the use of deadly force whenever an individual “reasonably believes” that they – or anyone else – are imminently threatened with an illegal use of deadly force, or force otherwise likely to result in serious bodily injury. Clearly intended to represent a legal endorsement of self-defense, the code continues to specify that the use of deadly force is never legal when exercised by an aggressor or any other individual who is actively participating in a criminal activity. The laudable intent of this legislation notwithstanding, it seems to do little more than muddy the waters where police use of deadly force is concerned. By this law, a police officer need only be convinced that they are facing the immediate threat of death or serious bodily injury before responding in kind. The problem arises where anticipated: when is the belief in a threat to life or limb reasonable? Ostensibly, such a question might be taken up by the Utah courts and subject to the three pronged analysis of the United States Supreme Court listed above; in practice, such matters are screened by the relevant prosecutor’s office (who understandably maintains close ties with the police force), where the initial determination of the reasonableness of the officer’s belief is made. This often seems to have the predictable result. Critiques of this legislation aside, its applicability to police use of lethal force leads to one simple conclusion: any threatening behavior of any kind has the potential to expose an individual to the exercise of deadly force by police officers. To avert such a risk, then, such behavior should be avoided at all costs. Constituting the first consideration when determining the level of force a police officer is trained to use, “the situation” encompasses environmental factors, number of suspects, perception of suspect abilities, knowledge of suspect, time and distance, and finally, potential attack signs. In general, police officers are trained to consider each of these categories in degrees – if, for instance, the weather is poor and vision is obscured, the degree of risk to the officer is elevated. Similarly, multiple suspects increase the risk to the officer, as do suspects of larger physical size or suspects under the influence of drugs (i.e. suspect abilities). Knowledge of the suspect constitutes everything from criminal history to warrants to mere reputation, any one of which might escalate a situation and increase the level of force imposed. The time and distance factors generally concern the immediate necessity of action and/or the potential for a successful escape by a suspect, while the most straightforward factor, potential attack signs, constitutes ignoring an officer, repetitive questioning, aggressive verbalization, emotional venting, refusal to comply with officer requests, ceasing all movement, invading an officer’s personal space, adopting an aggressive stance and finally, simply hiding. Independently, each of these factors might not provoke a response from an officer with deadly force; as they accumulate, however, officers become more and more likely to resort to such measures. The second factor in an officer’s consideration concerning a potentially serious situation is the behavior of their targeted suspect. Briefly put, this constitutes the disposition of the suspect – ranging from cooperative suspects to suspects threatening death or serious bodily injury, the degree of escalation is relatively straightforward. Suspects who are cooperative with police are less likely to be met with deadly force, while those who are aggressive towards officers are more likely to be met with deadly force. The final factor considered when justifying the level of force used by police officers is known as officer perception and/or tactical consideration. Constituting particulars such as the strength of the officer, their skill and training, their gender and even the cultural background of the officer, officer perception generally concerns the ability of the officer to effectively use less force to accomplish their goal. For instance, an officer in poor physical condition would need to resort to a greater level of force to detain a suspect in superior physical condition, and visa-versa. So far as tactical consideration is concerned, this is generally concerned with the availability of resources and options to an officer in any given encounter. Specifically, this includes the consequences of disengagement, the number of officers involved, the availability of backup, and so forth. It is not difficult to see why such factors are considered by officers – if temporarily disengaging from a situation would not have serious consequences (for instance, disengaging with an individual in a jail cell), then the need for force is lessened. On the other hand, if one officer is at odds with several suspects, the need for force is increased. 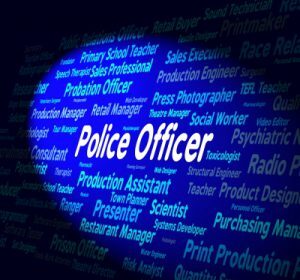 The possible considerations influencing an officer’s perception and/or the tactical situation are myriad, but they can all be summed up quite neatly: they simply constitute how vulnerable an officer may or may not feel. The more vulnerable an officer feels, the more likely they are to resort to deadly force. Consider that the next time an officer calls for backup during a seemingly routine traffic stop – in their mind, they are actually deescalating the situation and the need for deadly force! Most Utahans are destined to encounter police officers at one time or another in their lives, and while all such encounters need not necessarily escalate to the use of deadly force – indeed, the vast majority never do – most officers are armed, and as such, the potential for such escalation almost always exists. Yet, with an understanding of the laws under which police officers function and the training that guides their perceptions, the risk of being exposed to deadly force can be reduced, and tragedies decisively prevented.